Deus Ex Machina and the end of meaning. An unspoken bond of trust exists between Author and Audience the moment a work of fiction begins. This emotional handshake guarantees delivery of something far and beyond simple entertainment. Break that trust and one risks losing the goodwill of the Audience. Unless, of course, you are Pixar. 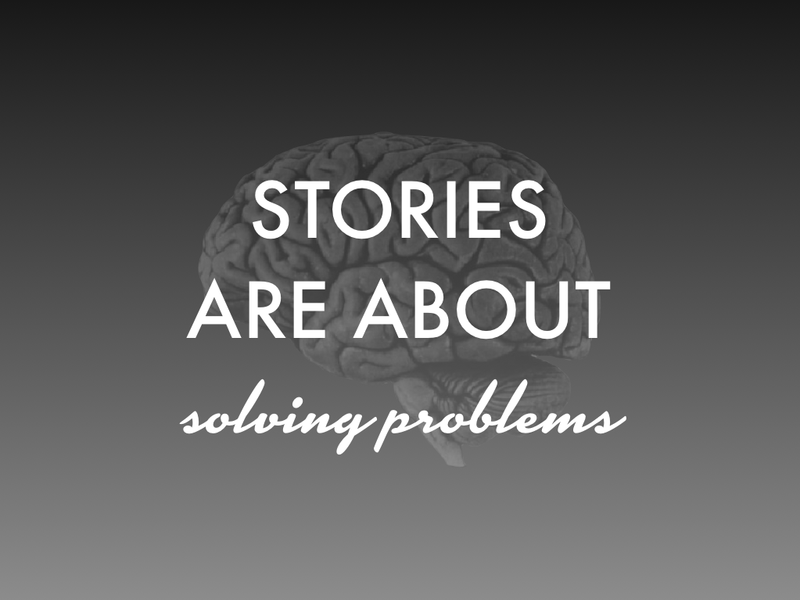 Stories are about solving problems. Through the mechanisms and processes of character, plot, theme and genre, a story seeks to provide an audience with a better understanding of how to solve the issues they face in life. Part of this understanding comes as a result of meaningful connection between the Main Character’s final resolve and the outcome of the story itself. Luke turns off his targeting computer and the Death Star becomes instant space dust. Pretty obvious what George was getting at there. Likewise with Neo and his new-found belief in himself as the One—the Matrix crashes taking Agent Smith with it. But what about more complicated fare like Memento or Amadeus? Both feature Main Characters that refuse to adequately deal with the insecurities surrounding their lack of ability—Salieri with his inferiority complex towards the greatness that is Mozart, and Lenny with his inability to create long-term memories. However, their individual refusal to change grants each a different result. Salieri’s refusal destroys his enemy, yet doesn’t grant him the immortality he dreamt of. Outside of this play, who remembers his name? Lenny, on the other hand, found that his refusal granted him the ability to easily kill his wife’s murderer, “Teddy”. In both cases there was a meaningful connection between what they finally resolved to do and the outcome of the story. This wasn’t the case in Toy Story 3. It should be noted that after careful analysis, there seems to be two stories at play in Toy Story 3. In short, there is the story between Woody and Andy and there is the story between Woody and the Toy Family (Buzz, Jesse, Mr. Potato Head, etc.). This analysis concerns itself with the latter, which could be considered the primary story of TS3 as it is granted the most screen-time. is one of the first pitfalls potential Authors learn in their junior high school creative writing classes. A pitfall that must be avoided at all costs. It comes from ancient Greece wherein some poets would end their plays by having a mechanical crane drop down from the top of the stage to either drop off a vengeful God or scoop away the heroes to safety. In Jurassic Park, a T. Rex comes out of nowhere to save the day. In Saving Private Ryan, a flight of P-51s comes out of nowhere to save the day. In War of the Worlds, air pollution comes out of nowhere to save the day. And in Toy Story 3, a crane comes out of nowhere to save the day. Now, this isn’t necessarily a bad thing in the grand scheme of things. Both Jurassic Park and Saving Private Ryan were great films that entertained audiences worldwide. But there is something to be said about connecting the successful resolution of a story’s problems with the natural development of character. Toy Story 3 shares shelf space with the pantheon of Spielberg final acts that end because time had run out before the next showing, not because of any meaningful character development. To be fair, this use of the crane in Toy Story 3 is setup (rather conveniently) in previous scenes, but we had no idea that it was poised above the fiery furnace. The reveal of it, while funny, cheapened the meaning of the story. While there have been those who have embraced the religious implications of a heavenly hand saving our heroes the moment at which they accept their death, a story should exist on its own, without the need for spiritual context. How else are those who don’t hold such beliefs dear going to accept the message given to them? Instead of relying on a faith-driven device to resuce them from the fiery pits of Hell, it would have been more accurate to have their rescue happen as a meaningful result of Woody finally accepting Buzz’s outstretched hand. Perhaps Woody’s need to always be in control of the situation only accelerated his and the others’ descent into the furnace. The harder he tried to climb out, the faster they went down and the separation between him and the others increased. Buzz would have still reached out his hand, leaving Woody with his Crisis decision—either continue to fight to control the situation, or give in and grab his friend’s hand. Only by letting go and allowing things to take their natural course of action would his descent have finally slowed down. As they grabbed hands in a sign of solidarity, the debris would have fallen down around them, pulling them even closer together, creating a nice, small compact target for easy rescue. Now, with the surprise reveal of “the claw” would have come greater meaning and a purpose to Woody’s change of character. There would be no need to ascribe this to religious influence as it would have been quite evident that it was Woody’s desire to change the way he approached problems that had saved them all. Certain camera angles would have enforced the idea that by letting go he drew them closer together, but even without the point of the whole sequence would have been clear. 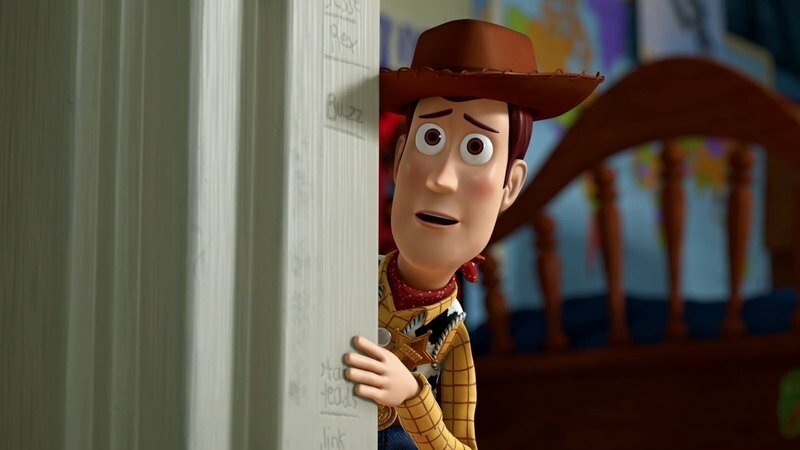 It was Woody’s change of character that ended up resolving their problems, not some surprise crane that had neither a connection to the thematics of the story nor the development of the story’s emotional meaning. Great films always find a way to connect character growth with the resolution of their individual stories. In Shawshank Redemption, Red (Morgan Freeman) faces constant rejection for parole because he suffers from the malaise of all stuck in Shawshank: they all tacitly support the governing authorities. It is only when Red stands up and talks back to the board that they finally give him the respect he deserves and approve his request. This meaningful solution was only something he was able to do by virtue of his relationship with Andy (Tim Robbins) and the circumstances surrounding Andy’s incarceration. The story contributed to his growth. Same with Michael Corleone (Al Pacino) in The Godfather. Michael begins the story plagued with the same sort of problem that challenges everyone else: namely, the ill effects that come when one is driven by their feelings. Michael’s love for Appollonia, Sonny’s response to Connie’s abuse—these are all problems caused by feelings. It is only once Michael stops his childish behavior and begins to employ logic over feeling that he can finally assume his rightful place in the family. This meaningful solution was only something he was able to do because of his relationship with Kaye, and to a certain extent, his father. The story’s central problem connected Michael to the greater conflict and ultimately contributed to his meaningful growth. This connection between the story’s resolution and character growth seemed to be missing from the main story of Toy Story 3, or at the very least, was painted in extremely subtle tones. It is unclear how the possible relationship between Woody and the Toy Family, or Andy for that matter, granted them a meaningful solution that would allow them to clear the way towards a happy home. They did eventually find what they were looking for, but a more meaningful story would have connected the pieces together in a tighter, more cohesive fashion. The reviews on this site make a distinction between structure and entertainment. While the case has been made concerning the lack of meaningful story structure in this film, what can’t be argued is the relative entertainment value of the piece. Besides the aforementioned scenes with Ken, some jaw-dropping intense set pieces and some spectacularly truthful character animation, the film connects by offering fans of the series an opportunity to say goodbye to the characters they grew up with and the characters they ultimately hold close to their hearts. As with the recent season finale of Lost, emotion trumps logic, experience supplants structure. Toy Story 3 succeeds irregardless of its structural errors. That trust between Author and Audience was broken, yet no goodwill was lost as it was simply replaced by an even greater handshake—the promise of delivering a heartfelt and emotional catharsis. And like Buzz reaching out for his best friend’s hand, Pixar offered this story as a way of letting the audience say goodbye to the characters they love and accept that eventually everything must change, everyone must move on. To that end, the audience themselves filled in the space that was left by the deus ex machina plot device, which in turn, granted them an even greater connection to the film. Toy Story 3 shines as a blatant reminder that when it comes to emotionally compelling stories, structure is not everything. Taking a look at the primary story of Toy Story 3 (that of Woody and the Toy Family and their Escape from Sunnyside), it seems clear that all the pieces are there for a complete story, only they are painted with a very faint brush. Because Woody is a Changed Main Character, the same kind of problems that affect him personally are also going to affect the larger story. With this in mind, it makes sense that the Problems at hand would be caused by an overabundance of Control. Letting go, or employing the solution of Uncontrolled, would be the thing that would resolve both the issue with escaping from Sunnyside, and the issue with Woody and his desire to stay with Andy. Lotso’s need to Control everything at Sunnyside causes most, if not all problems in the story. Why else would he care whether or not the toys escaped if it weren’t for the fact that he needed control over everyone. It is unclear how this Uncontrolled solution leads to their rescue at the dump—the example provided in the above analysis is an attempt to show one way how this could have been executed. A crane from above is no solution.